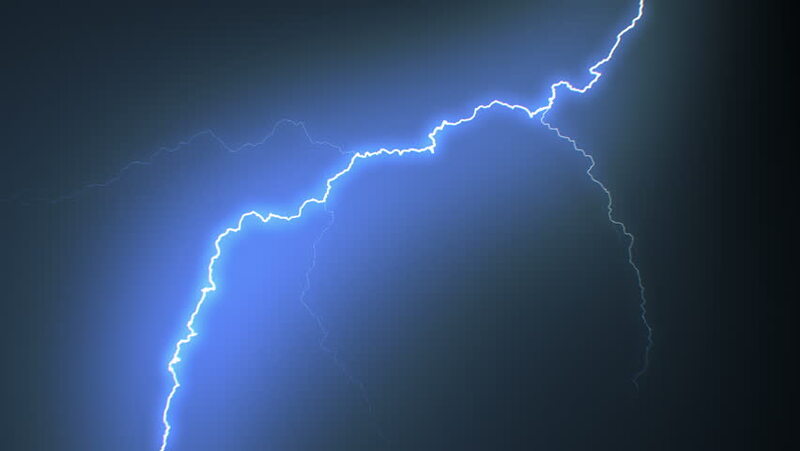 Set of Beautiful Lightning Strikes on Black Background. Electrical Storm. 17 Videos of Blue Realistic Thunderbolts in Loop Animation in 4k 3840x2160.